We made a special cover for this issue, and I spent many nights had printing copies. We then sent our representative from our inner working group to Beijing for the conference and distributed the publication around Suzhou. But the meeting never happened. The government decided at the last minute to ban the gathering of the ten universities deeming it illegal. Instead, it was announced that China's de facto leader, Deng Xiaoping, would receive the representatives for a private meeting. This was when things went terribly wrong. Every representative who attended the special meeting with Deng had a copy of the Red Maple Society's current magazine in hand. Deng asked to see what people were reading. One student from Beijing University passed him a copy of our magazine with its pages opened to the "Confessions" article, which was considered daring and controversial. The first picture shows the cover while the second picture is the Table of Content page, with the "Confessions" article being the first item. Perry Link, an expert on modern Chinese literature at the University of California at Riverside, said student magazine representatives met in 1979, but added: "I do not believe for a moment that Deng Xiaoping ever came near the group." Neither he nor others knows of a representative from Fu's group, Red Maple, attending. 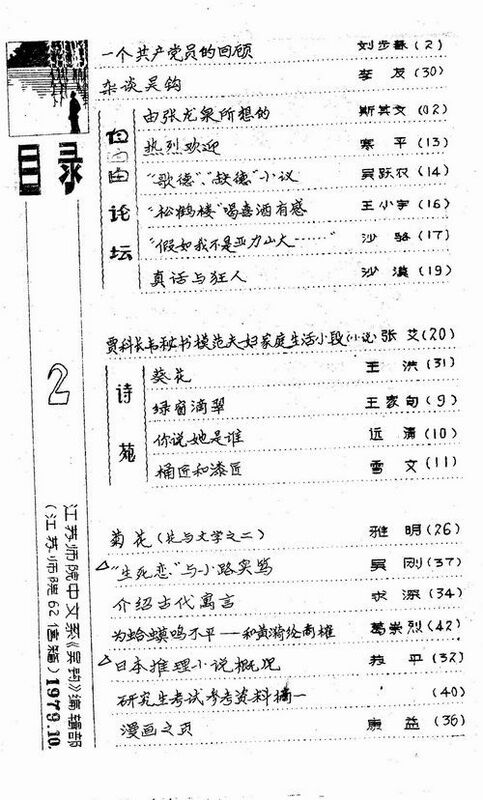 Fu said she believed the article was selected for This Generation, the joint publication from the meeting, but Link's copy shows it is not included. And in an e-mail to me, she admitted she made mistakes about a magazine she said she helped edit, called Wugou, or “No Hook,” produced in 1979 by students at her college, then called the Jiangsu Teacher’s College (later it changed its name to Suzhou University, she said.) It was not that magazine but another one, This Generation, that was taken to a meeting in Beijing of student magazine writers from around the country, she wrote in the e-mail. “A good case that shows everyone’s memory can be wrong,” she wrote. 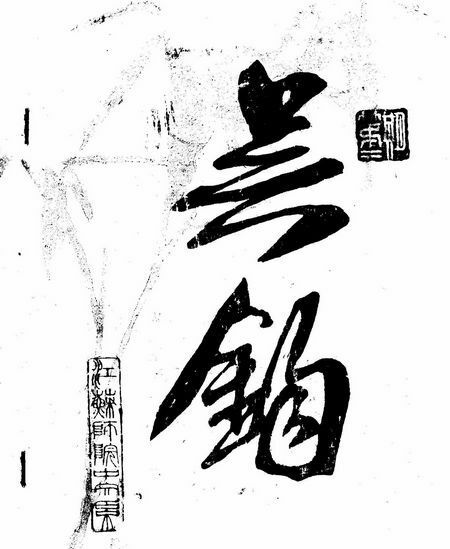 There are many parts of Fu Ping's story as well as her clarifications that are false. Indeed, the only parts that are true are her statements that Suzhou University is not a first-tier school and that they had published an issue of magazine that contained the "Confessions" article. Alas, neither of which is even helpful to her tall tale. First of all, once again, her timeline is all wrong. As Professor Perry Link stated, student magazine representatives did meet in Beijing in 1979, on July 15 of that year in fact. This makes it at the end of Fu Ping's first year in college, not "second year." But wait, Fu Ping's Red Maple Society was founded only in the fall of 1979! Oops. Big Oops. For those who can read Chinese language, here is a detailed account of what happened at that time from someone who was actually there. The group had a productive meeting in Beijing and encountered neither Deng Xiaoping nor any political trouble. They then returned to their respective campuses and founded the journal This Generation. If Deng Xiaoping were going to meet them at that time, there would have been neither Wu Gou nor This Generation for him to pick up and pick upon. However, Fu Ping's tale of Deng Xiaoping's involvement is not entirely made up either. 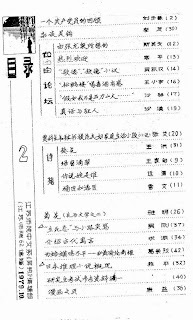 The above account also remembered that, on January 16, 1980, Deng Xiaoping did make a speech criticizing the magazine This Generation, labeling it a counter-revolutionary propaganda, with a copy of that magazine in his hand. Consequently, This Generation ceased to exist after her very first edition. Fu Ping probably heard of this story and thus conveniently substituted This Generation with her own Wu Gou and claimed the story for herself. When that was exposed, she quickly pivoted and claimed that she "believed the article was selected for This Generation." Her belief proves to be as erroneous as her facts. This Generation got into political trouble because of her own contents, having nothing to do with Fu Ping's little group or journal. Broken Fact: Fu Ping's "Study Sessions"